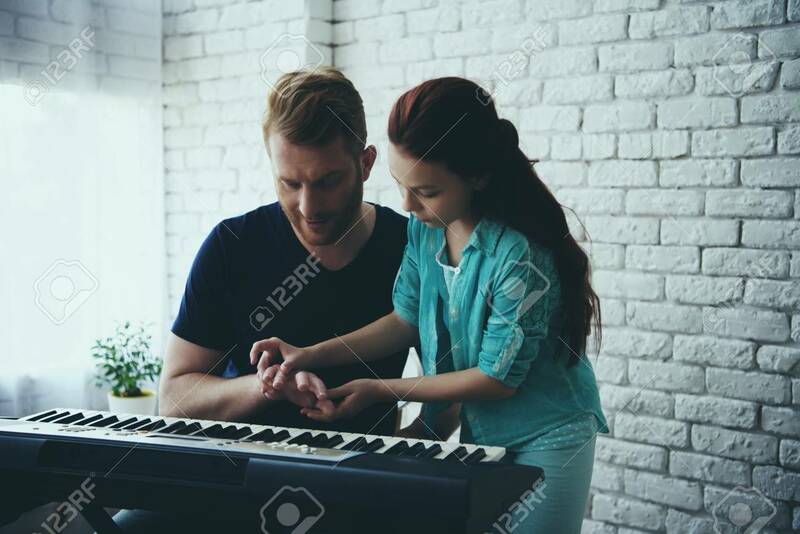 Talented Girl Teaches Redheaded Father Playing Synthesizer. Fatherhood. Child Education Concept. の写真素材・画像素材 Image 103056313. 写真素材 - Talented girl teaches redheaded father playing synthesizer. Fatherhood. Child education concept. Talented girl teaches redheaded father playing synthesizer. Fatherhood. Child education concept.